Machine learning uses data to create models that can make predictions and decisions. Tignis uses multiple types of machine learning to create models. When appropriate, we use a particular type of machine learning called deep learning to create models that not only learn but are, in a sense, self-correcting. While the Tignis service can learn from machine data alone, the most impactful use of our service happens with human experts in the loop. 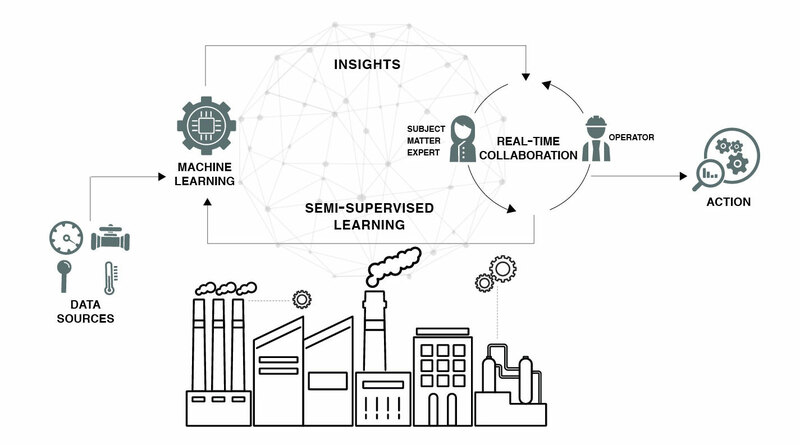 In this mode, the machine learning and deep learning models are made smarter by the collaboration between subject matter experts and operators of connected products. One result is a highly accurate model of your system that can identify patterns that humans alone cannot. Another result is a positive feedback loop with your operators and customers who are getting real-time insights and recommendations. The proliferation of machine-to-machine communications, product sensors and other streaming data is driving organizations to seek the performance benefits of edge computing. By identifying and analyzing problems in real-time, businesses can quickly make improvements and achieve greater bottom line savings. The widespread availability of edge computing is creating new expectations, including faster and more secure access to data, closer to the source. Data loses value when it can’t be analyzed quickly and slow decision-making is no longer acceptable. With the ability to identify which data is important enough to be moved to a central data center, analytics at the edge can simplify and drastically speed analysis while cutting costs. Moreover, gaining access to data at the edge empowers broader business opportunities for our partners. It enhances our partners’ current service offerings. And it greatly increases the agility and effectiveness of their proactive maintenance, while enabling greater monetization of their products.